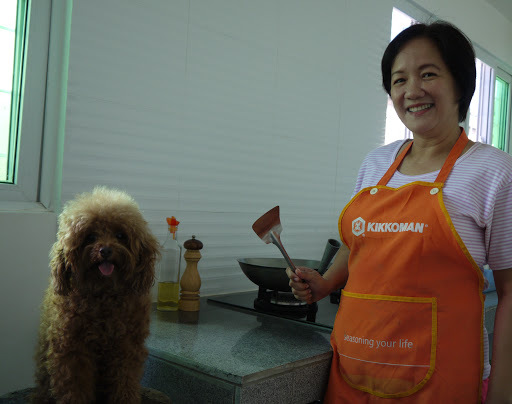 One of my favorite channels in YouTube is Cooking with the Dog. It’s a cooking channel that features easy to cook Japanese dishes. So today I decided to blog about my own version. It’s called Cooking with Dallas. 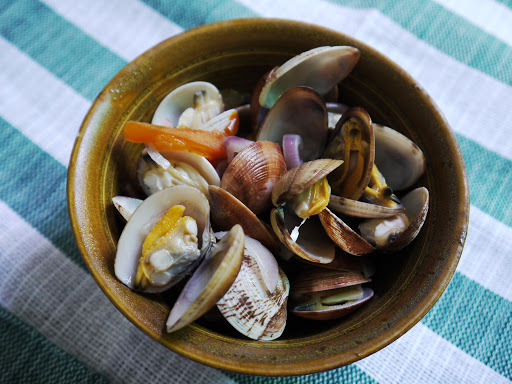 Today’s dish is very simple: Sautéed clams. 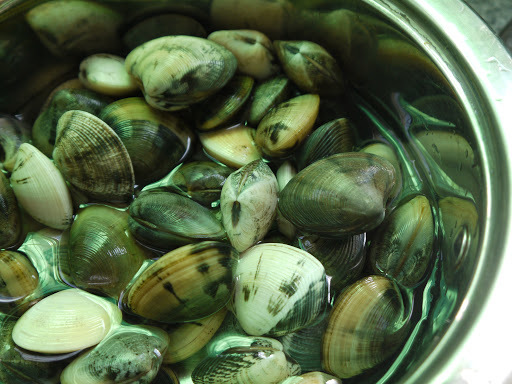 First, soak about half a kilo of clams in salt water for about an hour to clean out all the sand in them. 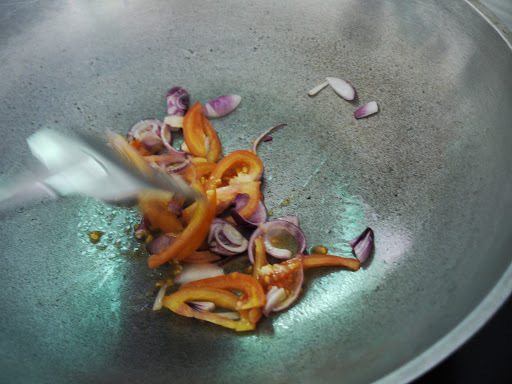 In a wok, sauté garlic, onion and tomatoes. When the spices are cooked, put about a cup of water and the clams in the pan. Cover for about five minutes. You can tell the dish is ready when the shells have opened. Easy! Hi Dallas! You are so cute!